The students of the world music school De Centrale proudly present as usual at the end of the school year the results of an entire year of intensive drum, ruffle and string work to a just as enthusiastic audience of family, friends, sympathisers and supporters. 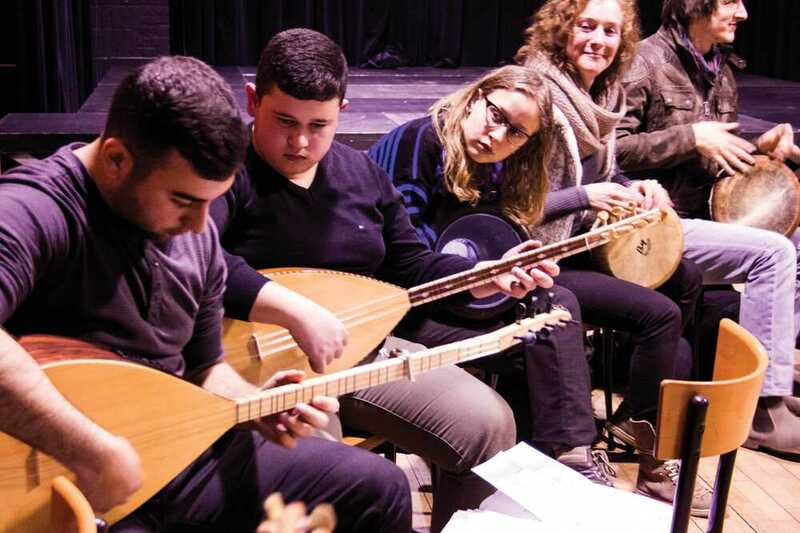 Together with their teachers darboeka, bendir and riqq (Azzedine Jazouli & Hilde De Clercq), oed (Sadig El Gibril), qanoen (Osama Abdulrasol), saz (Iskender Arici), violin (Wouter Vandenabeele) and raga’s (Wilhelm Van Langendonck) they would like to invite you to the annual students feast that is being organized for the festive closure of the school year of 2016-2017. This year as well we provide delicious snacks at democratic prices!